41mm platinum case, sapphire crystal, Caliber UN-83 Self-winding movement with astronomical wristwatch, perpetual movement, leather strap, folding buckle. Water resistant to 30m. 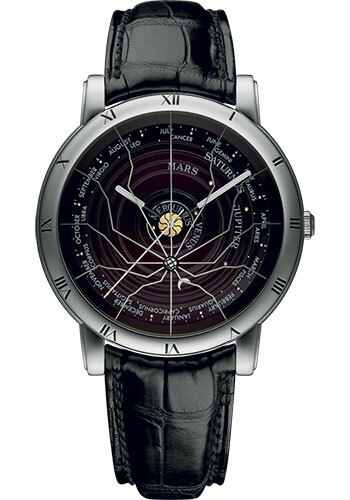 43mm platinum case, sapphire crystal, Caliber UN-88 Self-winding movement with astronomical wristwatch, perpetual movement, leather strap, folding buckle. Water resistant to 30m. 41mm platinum case, sapphire crystal, Caliber UN-99 Self-winding movement with astronomical wristwatch, perpetual movement, leather strap, folding buckle. Water resistant to 30m.